This post is based products I received in exchange for a Skinceuticals review. All opinions are my own. One of the best perks of being a blogger is all the free things I get to try. Nearly every week, I receive something in the mail to try out. Skincare and beauty products are by far the most common thing that I receive. I always try out all the products I receive, but they usually underwhelm me. Every now and then, though, a product really blows me away. That’s how I feel about Skinceuticals serums. So you can see this is sponsored, but it’s only sponsored because I reached out to them after trying their HA Intensifier to see if they would send me more products to try. I want you all to understand, this doesn’t normally happen. Most of the time, I receive a beauty product, I try it, I think it’s fine, but I never promote it and I move on to the next sample. My reaction to Skinceuticals is completely different. I find myself wanting to promote it, not for money, but because I actually believe in the product and I want everyone to know how great they work! I’d heard a lot of things about the Skinceuticals CE Ferulic. Several bloggers I follow have talked about it for years. I honestly thought it was too expensive and I didn’t really buy what they were saying. My opinion changed completely for two reasons. First, my dermatologist actually recommended the CE Feurlic to me because he said it is one of the only products they recommend for rapid skin turnover and repair. He even uses it with his Fraxel patients because this serum is clinically proven to speed up recovery by 2 days (of 7!). That’s impressive stuff. The second reason I changed my mind is because I used an entire jar of the HA Intensifier and I noticed a significant improvement in the quality, texture and clarity of my skin. I’m currently using A.G.E. Eye, Triple Lipid Restore, and the Phloretin CF. So far, I can already tell the Phloretin is good for my skin. It looks smooth and more even. Also, I find the eye cream to be very nourishing and the moisture is great for night time. 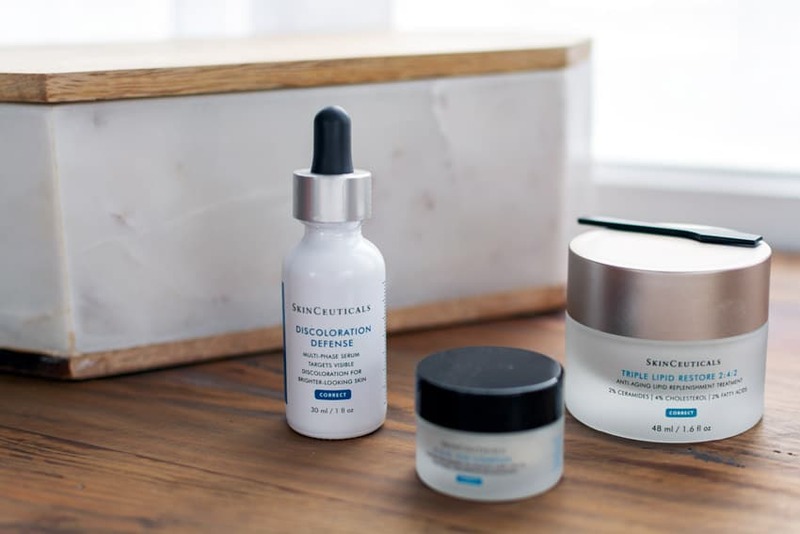 I haven’t been using this current regime long enough to give really honest feedback, but I do want to tell you that if you’re looking for a serum, I highly suggest you check out Skinceuticals. I personally loved the HA Intensifier, but I know a lot of people swear by the CE Ferulic. I’d suggest you consider your biggest skincare concerns and choose a serum that best meets those needs. 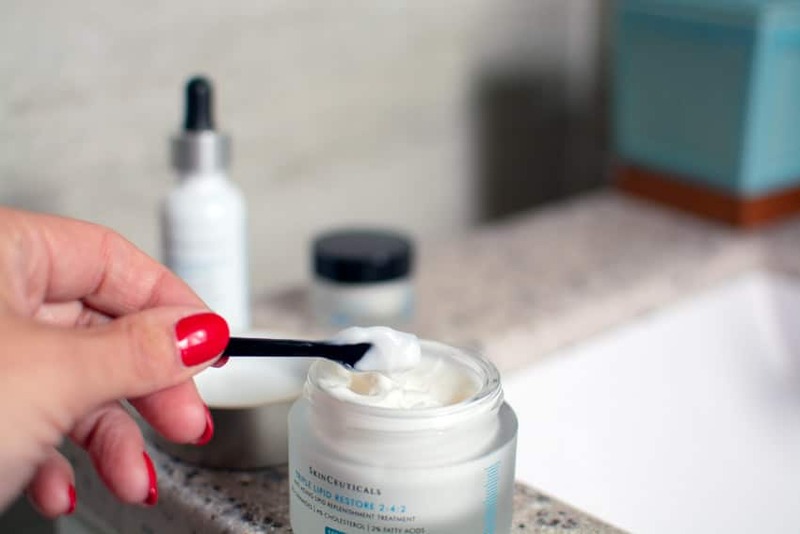 If you have any questions about my Skinceuticals review or my experience with skincare, send me a message. They did send me product, but only after I requested it. This stuff is the real deal. If you need proof, I looked back at pictures from a couple years ago, and I swear my skin actually looks better today. One of my California friends tells me that every time they seem me, I actually look younger. I’m going to take that as a sign that my skincare routine is working! These products are Posh Approved.